Mardi Gras is almost upon up, and Mardi Gras always makes me think of New Orleans and New Orleans always makes me think of Jambalaya. See how my mind works? It’s all about the food, lol! And while my fave Jambalaya Recipe is already on my site, one made with a roux (that’s said to be the Cajun-style) I really wanted to up my game this year and perfect a Creole-style Jambalaya, the tomato-y kind. Yeah, I’ had to get out of my (very delish) Cajun rut and make this New Orleans Creole Jambalaya for Mardi Gras this year. A dark or Red Roux (pronounced roo) is what gives my Jambalaya, below (as well as other classic dishes) its indescribable flavor. Try this with caution if you’ve never made a roux – the nutty flavor will haunt you to the rest of your days and once you’ve had a great roux in a dish…well, there’s no going back. 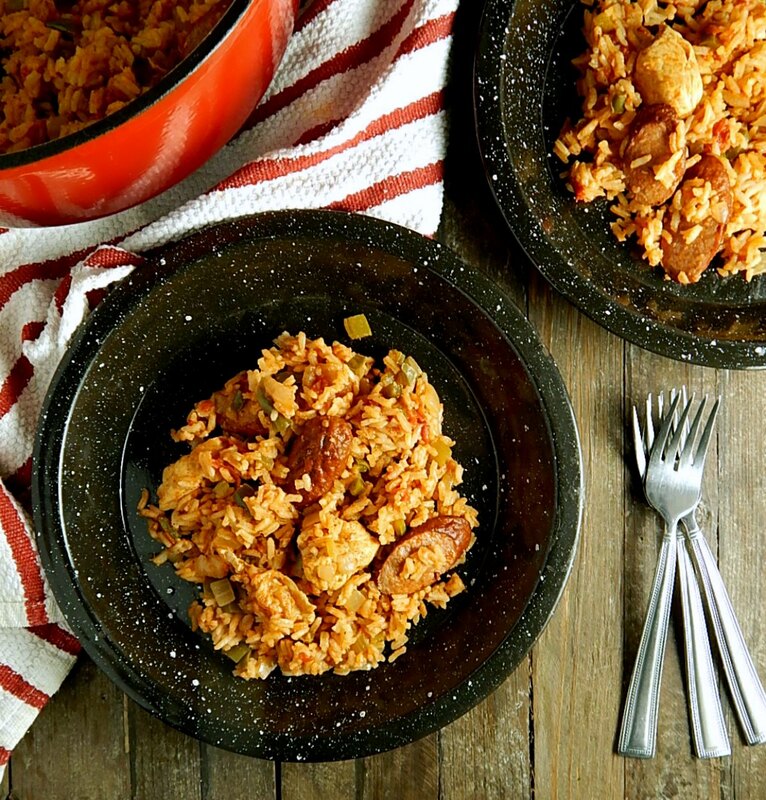 Jambalaya truly reflects a cultural heritage carried into the New World, nurtured and melded into its own special blend – hundreds of years ago, displaced French Canadians settled into the Louisiana area and adapted this dish to their new surroundings. 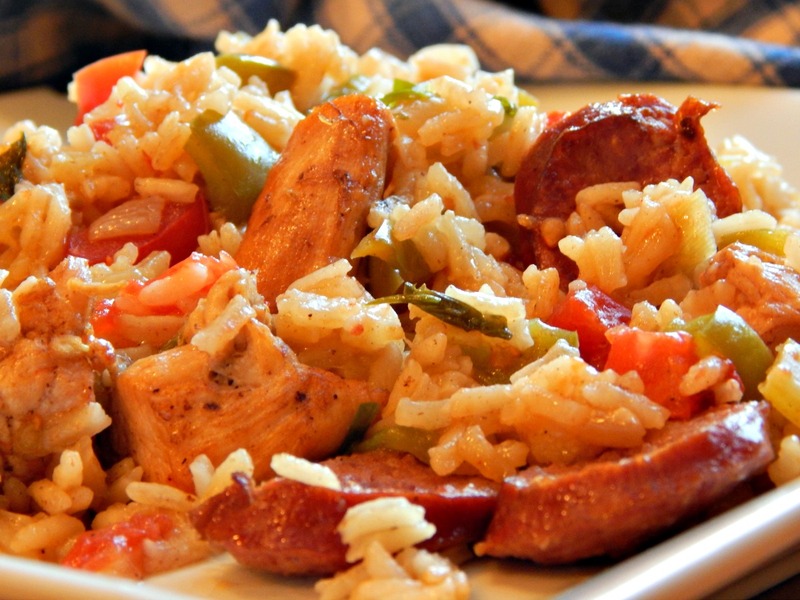 A lovely melange of vegetables, earthy sausage and chicken are in this Cajun Jambalaya Recipe and it has just the right amount of spice to be interesting. Then Y’all can pass the hot sauce at the table! Happy dance!